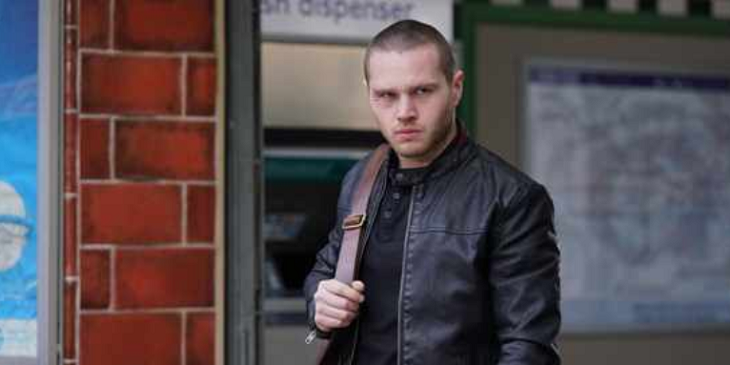 Keanu Taylor (Danny Walters) returns to Walford after spending some time in Spain away from his family, “EastEnders” spoilers tease. While his family warmly welcomes him back and is quite relieved by his arrival, Karen Taylor (Lorraine Stanley), Keanu’s mother scolds him for causing his family to worry about his whereabouts. Keanu did not get in touch with them while he was in Spain. Someone else is happy about Keanu’s return to the Square. Sharon Mitchell (Letitia Dean), his ex-girlfriend, contacts Keanu for a meetup, but he doesn’t show up. Instead, he asks Phil (Steve McFadden) to meet her on his behalf. Sharon seems still head-over-heals towards Keanu but he appears to have lost his interest in her. Have both lost the spark? “EastEnders” spoilers reveal that Sharon will be alone with Keanu and she asks him so many questions, especially about not keeping in touch. Keanu doesn’t know how to respond and asks her to leave him alone, but Sharon thinks he owes her an explanation, so she refuses to end their conversation without hearing him out. Despite a couple of advances, Sharon is resolved to get Keanu back by making him jealous through newcomer Midge. But Keanu soon finds out that Midge could be the one who attacked him back in Spain. 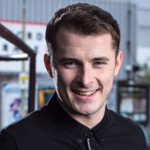 While Keanu’s return to Walford doesn’t seem interesting to him, Tiffany Butcher’s (Maisie Smith) return to the Square favors her. She breaks into Ted’s place and finds an amount of money stashed in storage. “EastEnders” spoilers leak that Tiffany will use the money to help Evie (Sophia Capasso) but will get caught by Bernadette (Clair Norris). Concerned about Tiff, Bernadette offers her help, which Tiffany ignores. Things will turn out unfavorable to Tiffany afterward as she will find Evie’s attacker. Threatened, Tiffany rushes to Evie and tries to protect her. Since Bernadette will see everything that takes place, she will rush to Karen and tell her what happened. As they learn the truth about Tiffany, Whitney (Shona McGarty) and Sonia Fowler (Natalie Cassidy) make moves to lure Tiff back home. As Tiffany heads to Taylor’s house, she would then find out that she was only set up. She will yell at Bernadette for such a betrayal. Terrified, Tiffany will escape.